30 days of technical support !!! 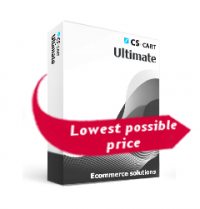 CS-Cart Ultimate is an advanced CS-Cart edition that allows you to create as many storefronts as you wish and administrate them easily via one admin panel. 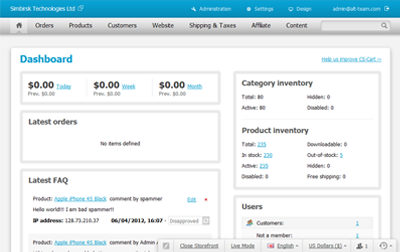 Ability to use Facebook commerce. REMEMBER If you don’t like CS-Cart, tell us about it within 30 days after the purchase, and we’ll refund your money. 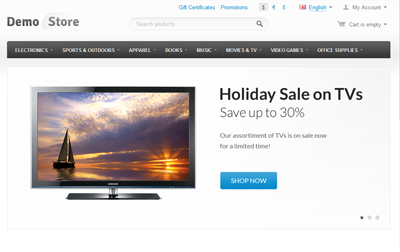 Please, pay attention to CS-Cart MultiVendor solution, in case you want to load the marketplace website. By purchasing CS-Cart Ultimate you get a complete working web store with the easy-to-use admin panel. Here is a comprehensive list of CS-Cart features for the better introduction. Having lots of experience with CS-Cart e-commerce platform, we offer high quality CS-Cart development services to provide you with extra features for your particular online store. Please note, the demo database is restored automatically every 30 minutes. "Спасибо за поправку, мы исправили эту ошибку на сайте." ""По дефолту CS-Cart Ultimate содержит две витрины." да ладно две .. одну"